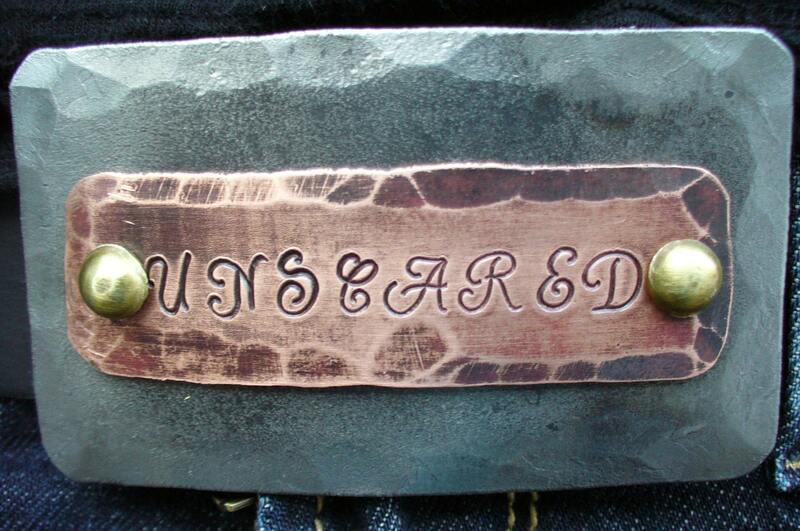 Forged in fire, this "Unscared" belt buckle says it all with a wild and rugged look. 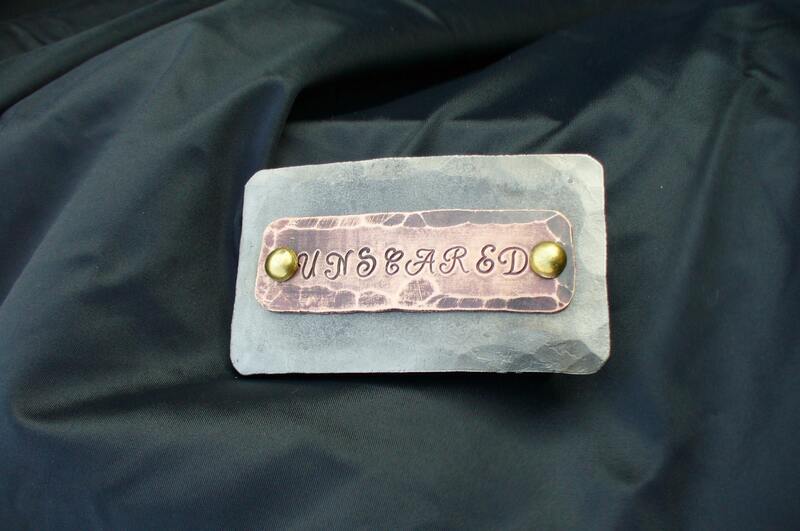 The whole buckle has been hammer textured, I then added a copper strip with the word UNSCARED engraved with 6mm stylish letters. 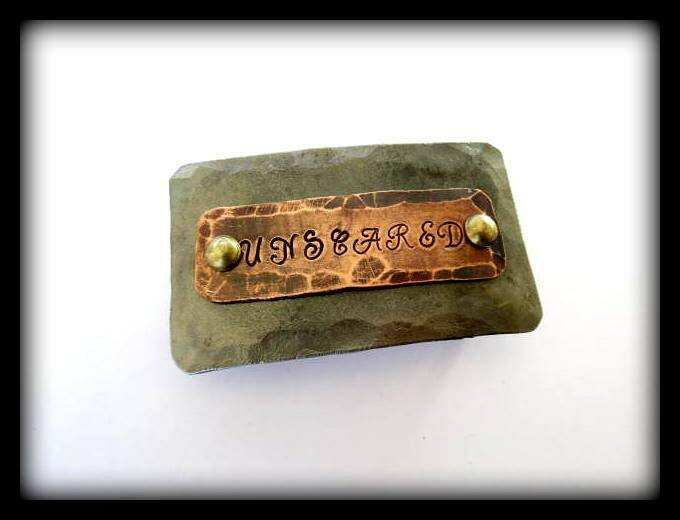 The copper strip is set in place with 2 brass rivets, the rivets are hammered in place(not welded) and will never come out of there. 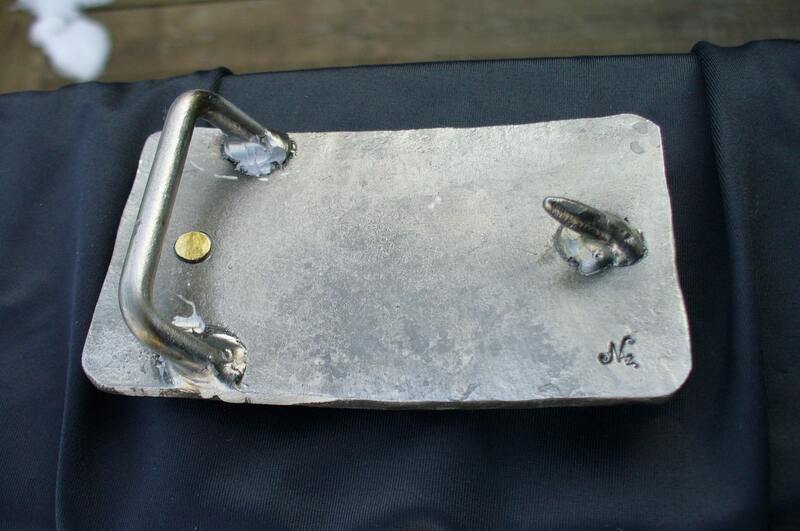 After cleaning, I clear coated the buckle to keep the raw iron look. 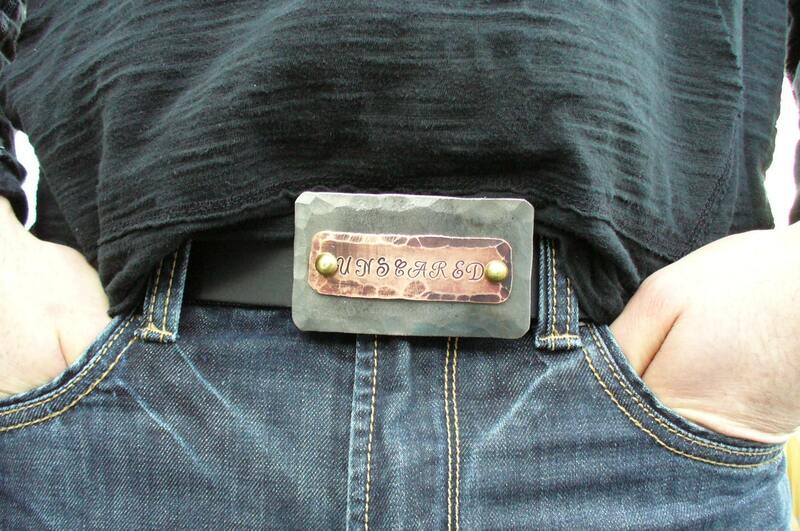 This forged belt buckle will accept a belt of up to 1 1/2" wide. The one in thye photos is the one you will receive.